The new US policy on Afghanistan allows for contacts with the Taliban no strings attached, while Russia's contacts with the terrorist group comply with UN rules, Russian Foreign Minister Sergey Lavrov said Thursday. "If I understood the new strategy of the United States correctly, it allows contacts with the Taliban with no prior conditions that they must meet," Lavrov said at a press conference. 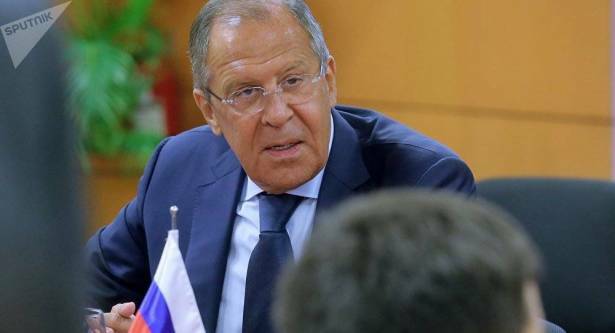 Russia has been pursuing two goals in its communication with the Taliban, Lavrov added, which are "the resolution of practical issues that affect the security of our citizens and our institutions in Afghanistan. Secondly, the encouragement of dialogue between the Taliban and the government, official authorities based on the criteria approved by the UN Security Council." US President Donald Trump on Monday announced a new strategy for Afghanistan, which committed the United States to continued support for the Afghan government and military as they confront the Taliban, adding it might be possible to invite the Taliban to the negotiating table. According to UN Security Council resolutions, the Taliban may sit at the negotiations table if they break off their ties with terrorists, cease armed struggle and affirm their respect for the Afghan constitution.